They’re the same thing…. right??? WRONG! There is a huge difference between losing weight and losing fat! And this is where so many people get off on the wrong foot when trying to change their body shape. So, to clear this matter up, lets start with the basic facts!!! Weight Loss – You want to reduce the weight of your body mass, which consists of losing a combination of water, fat & muscle. Fat Loss – You want to lower the percentage of fat you’re carrying on your body to a healthier level and enjoy being a slimmer, leaner version of yourself. Weight loss does have some problems and discrepancies though, and these are often overlooked when just weighing yourself on scales. Your body can fluctuate in weight quite considerably during the course of a single day, it has been reported up to 5lbs! This is influenced and caused by your stomach, bowel and bladder content…. without being too graphic if you haven’t been to the toilet today, you could well weigh MORE! Then there is water retention or loss, muscle gain or loss, fat gain or loss…… there are many permutations! And you have no clue what is happening when you step on the scales in your bathroom! It is also quite irrelevant, as two people could weigh exactly the same and be of the same height, but have a different composition and therefore a totally different shape to their body! 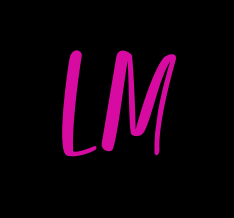 For example, I have a client who is the same age & height as me, but she still wants to lose at least a stone in weight, yet she weighs less than I do! But, she does have a much larger waist than I do, and a much higher fat percentage. Whereas I have a much higher muscle percentage. My body is denser, leaner and stronger. Then there is the BMI charts, which are fundamentally flawed anyway. Although it is the measure used by most health professionals, the actual BMI calculation doesn’t take into consideration your composition. So someone who, like me has a higher density of muscle and therefore weighs more, could read as overweight or even obese on the BMI scales, even though they are active, healthy and clearly not overweight. So, my point with weight loss is this…. stop it! Throw your scales away and stop focussing on the number that no one ever even asks you about! People do not know what you weigh when you walk down the street, or are sat at work! They see your shape and your size! So, how do I make sure I am losing Fat, not Muscle then? Great question, and I am glad you asked! 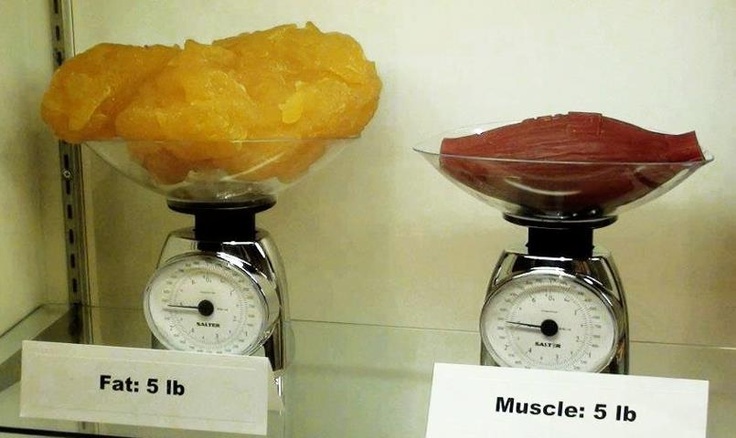 Muscle is denser than fat, NOT heavier! It therefore takes up less room within your body. So as you gain muscle, but lose fat, you will start to look slimmer, leaner and more toned. Firstly, you want to stop avoiding the resistance machines in the gym! Weights are good, and believe me girls, they are not going to make you bulky, big or mega muscular! That would take some serious amount of effort and some serious nutritional support. So stop fretting about looking manly…. you will infact look even more feminine! The more muscle you build on your body, the greater your metabolism becomes. For every pound of muscle you gain, you will naturally burn an additional 50 calories a day! So gain 3lbs and you will be burning 150 calories EXTRA a day, thats 1050 calories a week burnt without doing anything! Winner! You then need to start working on your diet, cleaning up the food choices that you make and removing all of the stodgy, highly processed junk, ready meals and take aways from your week. Start cooking with fresh foods, making nice meals that are colourful, clean and above all nutritious. Whilst doing this start to incorporate some healthy snacks, like raw nuts, chopped vegetables, humous, rye bread and so on. Graze your way through your day to keep your metabolism accelerated and thermonuclear! Your body will start to trust its energy sources, and swap to burning fat for fuel rather than muscle. Finally, take part in a HIIT training session to really boost your calories expenditure at least once or twice per week. Cardio will burn a high number of calories during exercise, whilst the resistance will keep your calorie burning boosted for a day or two following your workout. You need to have a good mix of cardio and resistance! Oh, and one last thing… now you have thrown your scales away (which you have just done…. haven’t you!? ), measure anatomical points such as your thighs, upper arms, chest, waist & hips to keep a record of your inch loss! Good luck! And remember to like, share and comment on the post 🙂 I’d love to hear your thoughts and stories. Don’t forget to get your copy of the Sugar Coated Secret Love Affair from Amazon HERE. Learn to love yourself, your body & your food! Be kind and find your happiness without diets or rules. Or you can join me in the incredible Goddess Lifestyle Programme, and learn exactly how women are changing their lives every day of the week. Time is Precious! 10 Minute Fat Burners!